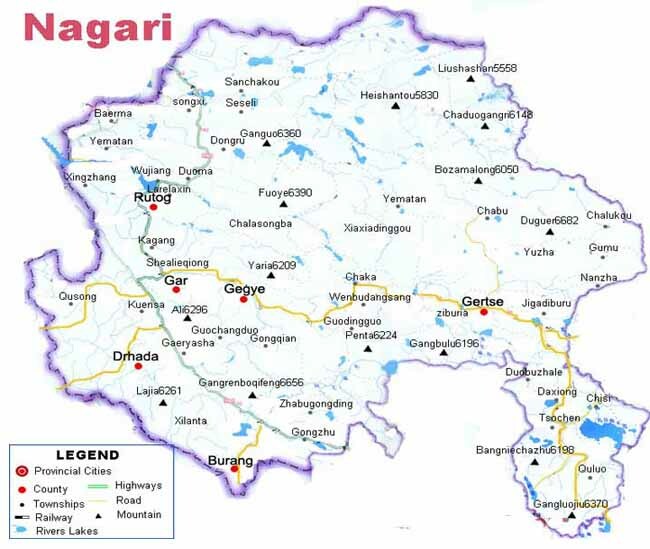 Situated in the western Tibet and the northern part of the Qinghai-Tibet Plateau, bordering India and Nepal, Ngari covers a total area of 34,500 sq km with the smallest density of population, housing the Himalayas, Kangdese Mountains, Tanggula Mountains, etc. 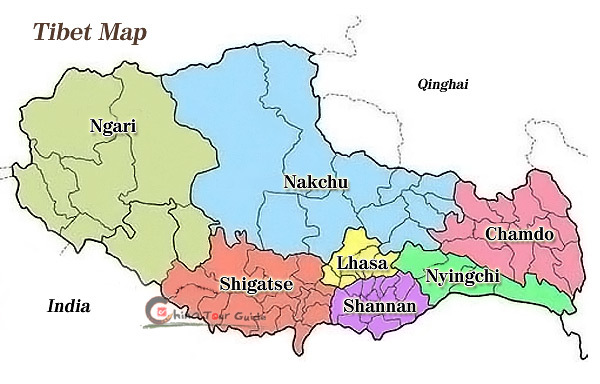 Ngari consists of seven counties, which hold 30 districts, 106 townships, and 359 administrative villages. 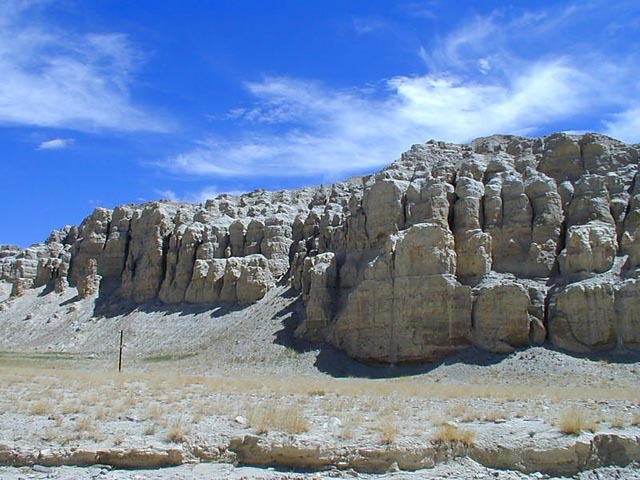 Its capital is Gar County, while the biggest town is Ali where Xinjiang-Tibet Highway passes. 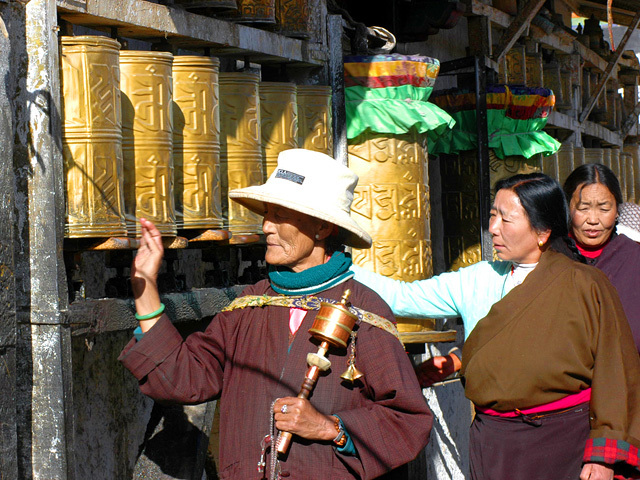 Ngari is adorned with holy Mt. 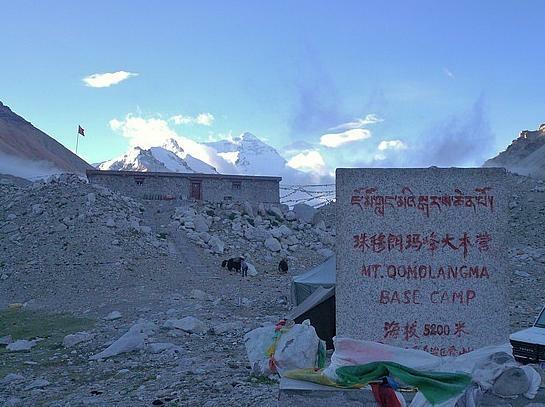 Kailash, the main peak of the Kangdese Mountains (also called the Kailash Range), and Manasarovar Lake, one of the three sacred lakes in Tibet. Both of them are admired by different religions. 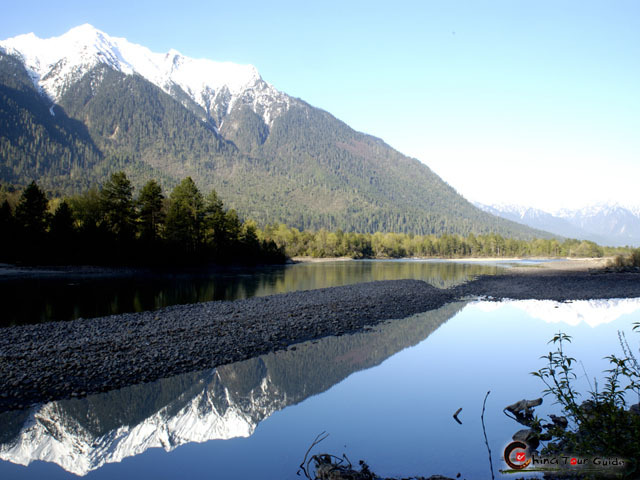 It also has a good reputation with more than 60 lakes and 80 rivers scattered all over the area like stars on the sky, offering abundant water resource and a paradise for various birds like Black-necked cranes, Red Beak Gull, white swan and so on. 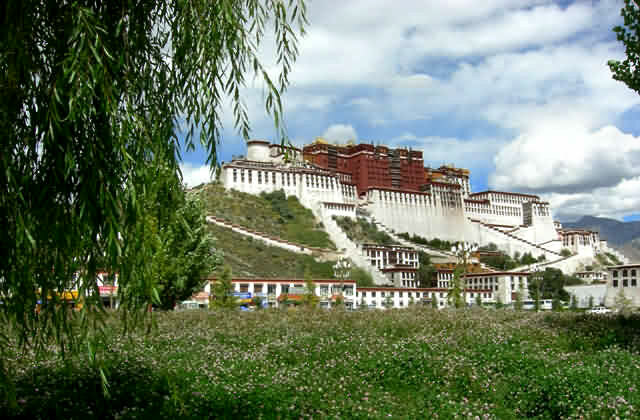 The extensive grassland provides an advantageous living condition for the wild lives, where herds of yaks play with wild asses, horses, long horned sheep etc. 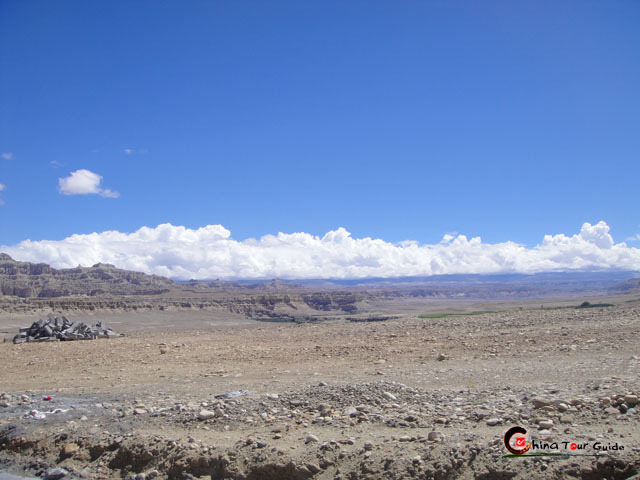 The best time to visit Ngari is in May, June, and from mid September to early October, when the climate is mild and good for travel. Also, you can tour it between late October and early April to appreciate the extensive snowy world with endless imagination.